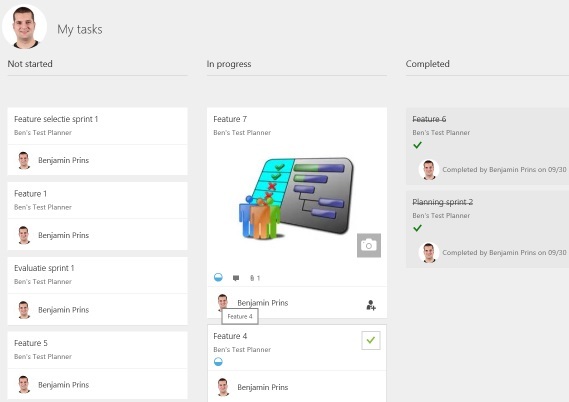 SharePoint 2016 contains a few new features. Here is a list of a few of these features which I am excited about. The file size for uploads can be as large as 10 GB, with the previous file size being max. 2 GB. The list view threshold is stated as greater than 5.000 and is different for specific actions. This will increase the performance of lists. Change from details view to the new tiles view with a click. New and improved get (share) a link features, too easily send view and edit links. 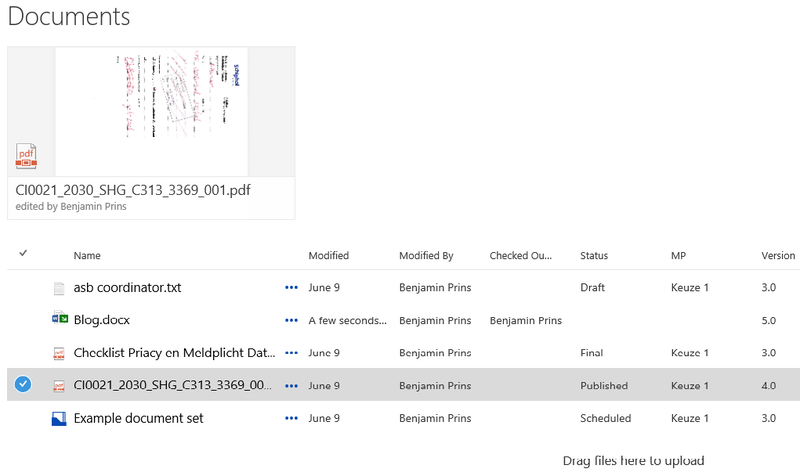 When uploading a document into a document set through the drag and drop feature, the document will be uploaded directly into the document set without the user opening the document set. 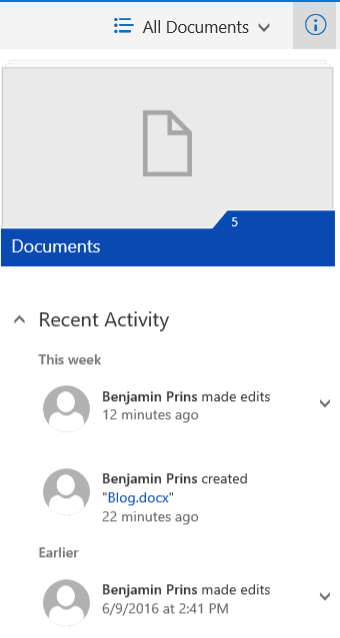 Existing documents can be move into a document set through the drag and drop feature, the document will be moved directly into the document set without the user opening the document set. 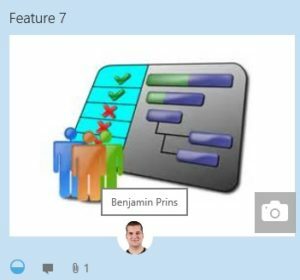 It is possible to pin documents to the top of the document library through the feature ‘Pin to top’. This will allow users to pin the most important documents on a very quick to access location. Every user is able to quickly see what the recent activities where within the document library. By default scripting capabilities are turned off in Office 365. This will prevent the use of a set of settings and a larger number of web parts. The administrator of the environment can enable scripting in SharePoint admin center. When scripting is turned on it takes about 24 hours for the change to take effect. 1. 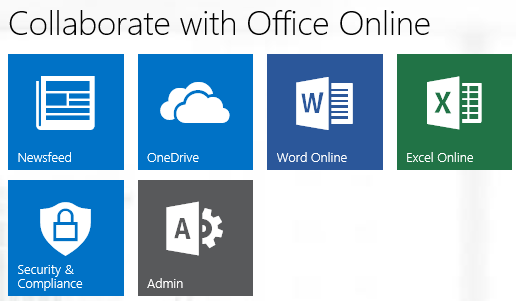 Sign in to Office 365. 2. Open the admin center. 3. Open the SharePoint admin center. 5. Set custom scripting to allow. 6. Save the changes and wait 24 hours. The following web part, features are settings are effected by the turning scripting on/off. When scripting is disabled (off) these functions will be unavailable to administrators. Save Site as Template No longer available in Site Settings. You can still build sites from templates created before scripting was disabled. Save document library as template No longer available in Library Settings. You can still build document libraries from templates created before scripting was disabled. Solution Gallery No longer available in Site Settings. You can still use solutions created before scripting was disabled. Theme Gallery No longer available in Site Settings. You can still use themes created before scripting was disabled. Help Settings No longer available in Site Settings. You can still access help file collections available before scripting was disabled. HTML Field Security No longer available in Library Settings. You can still use HTML field security that you set up before scripting was disabled. Sandbox solutions Solution Gallery will not appear in the Site Settings so you can’t add, manage, or upgrade sandbox solutions. You can still run sandbox solutions that were deployed before scripting was disabled. SharePoint Designer Site Pages: No longer able to update web pages that are not HTML. Data Sources: Properties button is no longer available. You can still open data sources. .xsf Existing files in the library are not impacted. With SharePoint 2010/2013 and the “Check in – Check out” feature enabled documents may seem to disappear and reappear for users without a cause. 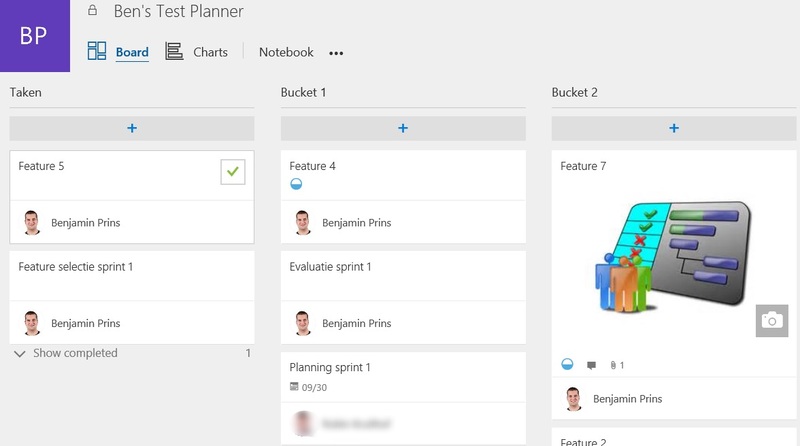 A common scenario is that colleague 1 saved a document on SharePoint but colleague 2 is unable to find it. While Colleague 1 can still see and find the document. This is a common and a very frustrating situation. This happens when a new file is stored on SharePoint but does not yet have a checked in version. 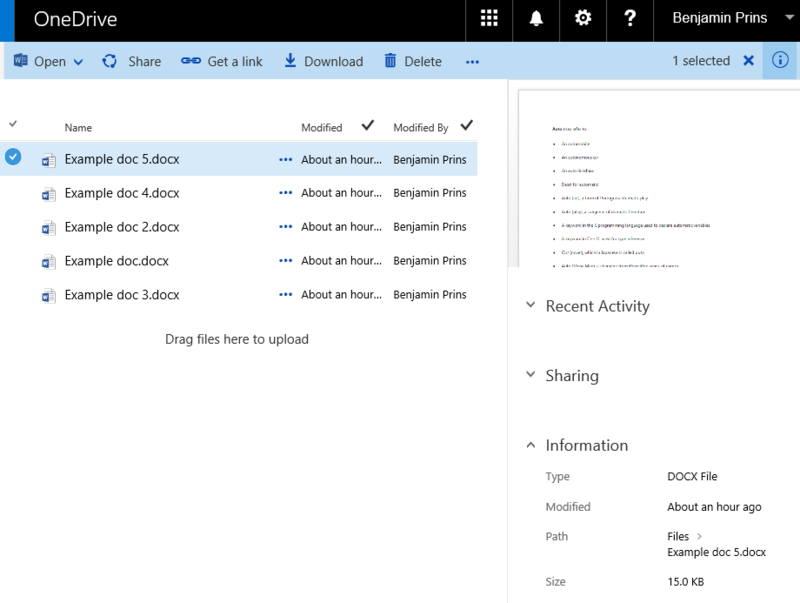 This can happen when multiple files are uploaded to SharePoint and a required column is not filled in or when the setting Require Check Out is enabled. 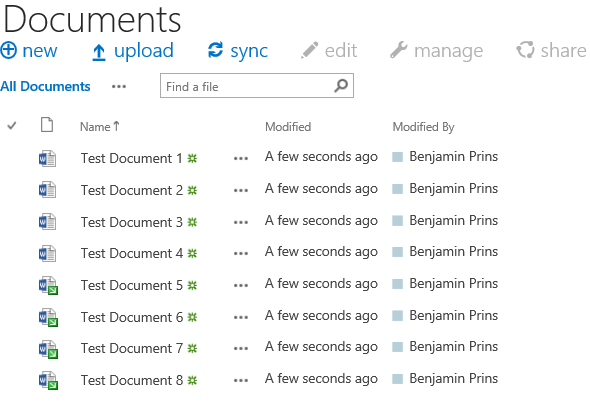 The file(s) will be stored on SharePoint but will be check out and only visible for the up-loader. There is a way for every user to see these hidden checked out documents. 1. Open the document library where the documents are missing. 2. Click in the ribbon on Library – Settings – Library Settings. 3. Click on Manage files which have no checked in version. 4. 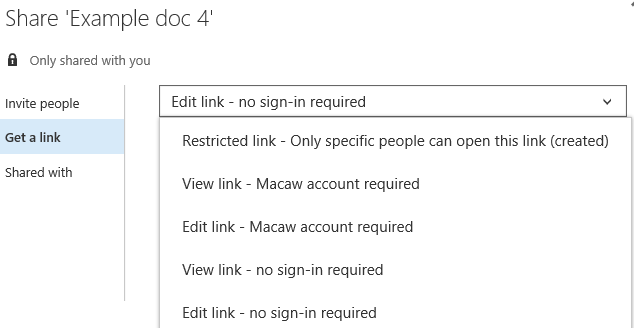 All the documents without a checked in version will be displayed. 5. If needed the user can take over the ownership and check in the document.